” Hello From the rugged beauty of the Heritage Coast to the tranquility of the Cheviot Hills, discover a magnificent backdrop whilst perfecting that swing! Historic castles and fortified houses reflect a past filled with battles and political intrigue, making the current desire for peace and quiet understandable, and a magnet for those looking to escape. 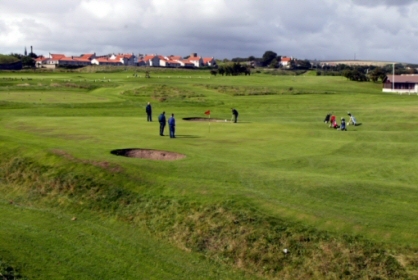 The Golf Clubs featured have formed a partnership to promote the excellent golfing facilities on offer to visitors, supported by accommodation providers who understand golfers’ requirements. No matter which course you choose to play, each offers varied terrain and a challenge for golfers whatever your handicap.